According to IMDb, the smash hit movie with an A list cast released in 1993 won 2 Oscars and another 72 awards. Plot: In German-occupied Poland during World War II, Oskar Schindler gradually becomes concerned for his Jewish workforce after witnessing their persecution by the Nazi Germans. Wikipedia states: Schindler’s List is a 1993 American epic historical period drama film directed and co-produced by Steven Spielberg and scripted by Steven Zaillian. It is based on the novel Schindler’s Ark by Australian novelist Thomas Keneally. The film relates a period in the life of Oskar Schindler, an ethnic German businessman, during which he saved the lives of more than a thousand mostly Polish-Jewish refugees from the Holocaust by employing them in his factories during World War II. It stars Liam Neeson as Schindler, Ralph Fiennes as SS officer Amon Göth, and Ben Kingsley as Schindler’s Jewish accountant Itzhak Stern. Wears War Movie Review for Schindler’s List: What Are The Facts? What does the movie Schindler’s List get right? 1) Jews were sent to German concentration camps during World War II. 2) Water came out of the showers at Auschwitz. 3) Since water came out of the showers at Auschwitz, the Jews in the showers were not gassed. 4) Oskar Schindler was a corrupt and unscrupulous businessman. This is why some people refer to the movie as Swindler’s List. 5) Oskar Schindler hired Jewish workers as cheap labor during the war. What does Schindler’s List get wrong? 1) The SS guards in Oskar Schindler’s factory were ordered to kill the Jewish workforce. The facts: Even though the Allies captured most of Germany’s government and concentration camp records intact, no order or plan has ever been found to exterminate European Jewry. This includes the Jews in Schindler’s factory. (Source: Germany’s War, pp. 367-370). 2) Over 6 million Jews were killed in the so-called Holocaust. The facts: An analysis of the 6 million Jewish deaths in the so-called Holocaust shows that this figure is not the result of any careful investigation, research, or calculation. The actual number of Jews who died is far less than 6 million. Also, the vast majority of Jewish deaths were from natural causes and not from a German program of genocide. (Source: Germany’s War, pp. 378-382). 3) A crematory chimney at Auschwitz is shown spewing smoke and flames. 4) German soldiers were allowed to shoot innocent Jewish civilians in Poland with impunity. As shown in Schindler’s List, this was a common occurrence. The facts: German soldiers were not allowed to legally shoot innocent Jewish civilians in Poland. The numerous shootings of innocent Jewish civilians in Schindler’s List are a major misrepresentation of the truth. (Source: Germany’s War, pp. 367-370). 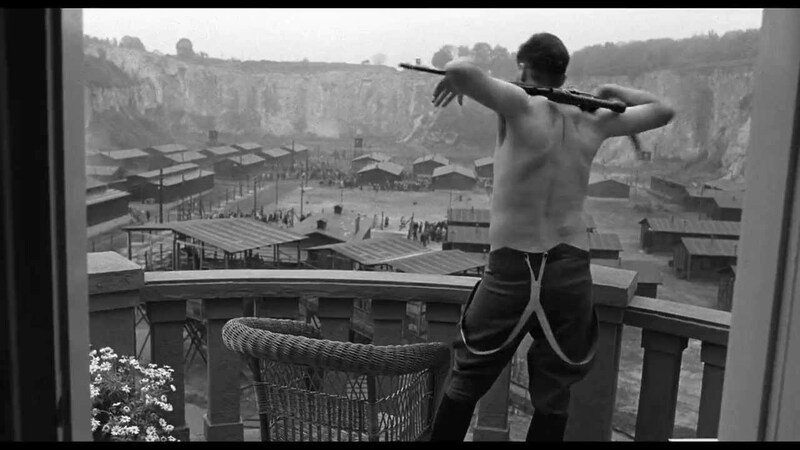 5) The German soldiers in Schindler’s List have low impulse control and embrace debauched degeneracy. They drink to excess, whore and womanize at every opportunity, routinely offer and accept bribes, and are a profoundly immoral people. It is indeed a fictional Swindler’s List of events and people posing as factual history. Its relevance is limited to analyzing and reflecting on the propaganda value of perpetuating the Holocaust Story as discussed here. I never watched Swindler’s List and I never will. Blatant anti-German propagandist hate movies are rolled out ad nauseum by unholywood to indoctrinate Germans into ‘White Guilt’. The huge chimney at Auschwitz was built AFTER the war by the Soviets and is not even connected to the building! It never served any purpose other than Fake evidence. I never ever watch them and I never ever watch the WWII fake history movies either. Likewise I will never ever watch the coming hellywood disinformation movie demeaning and demonizing the outstanding and courageous (and handsome!) British historian DAVID IRVING (see his fascinating talks on youtube) for daring to report the accurate historical facts of WWII, National Socialism and Hitler exactly according to the original documents he took the time and effort to study. For this normal function of a Historian he was thrown in jail and set up for ridicule by the fakestream media.